Metal Chef Competition for a great cause – Friday, October 12th! 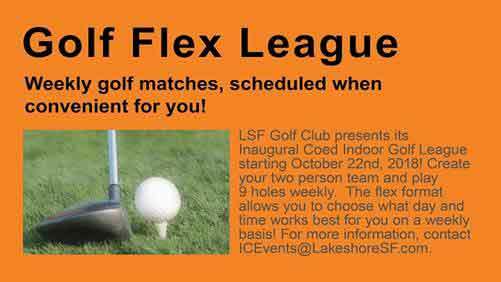 ‘FORE – LSF’s Inaugural Coed Indoor Golf League starts in 3 WEEKS! Winter Is Coming – Climb the Wall! Are you ready for your Halloween costume? Get Halloween Party Ready with PT360! 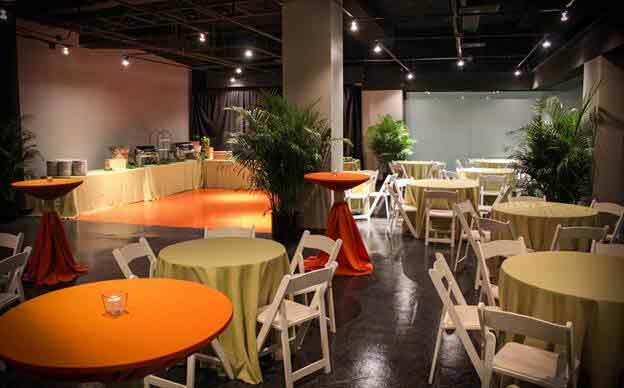 Check Out LSF’s Unique Holiday Event Space! Have you seen these Press Kitchen dinner specials? $20 OFF All Massages with the SPA@IC in October! Meet Our Two Newest Climbing Wall Team Members! 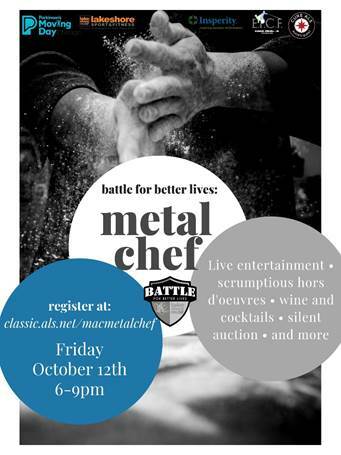 Metal Chef Competition @ MAC – Friday, October 12th! There is still time to get signed up! 7 teams already registered and we are looking for 13 more! Winners will get a 10 person Happy Hour at Press Kitchen with free food and drinks as well as a trophy to let everyone know of their AWESOMENESS! Seriously, do you really want your golf game to suffer this winter, do you hate having an excuse to make new friends and have some drinks? If so, this may not be the league for you. FOR EVERYONE ELSE, REACH OUT FOR QUESTIONS NOW!!! Flex league style, two person team, 9 hole match play starts October 22nd, 2018! Register for free at https://lsf-fallgolfsimleague18.eventbrite.com or contact ICEvents@LakeshoreSF.com. Have you had an opportunity to try out the climbing wall? With the weather changing and putting more variety into your workouts, maybe now is the time to check it out. We do make it easy with an Orientation for beginners and advanced beginners. This is an excellent way to learn the basics of climbing and how to belay. There is a one-time fee of $35 and that includes your shoes and harness rental. For the more experienced climber, we offer a Belay Check, which is more of a refresher course to make sure you have your safety and climbing skills down. This $20 and equipment rental is $5 for shoes and harness each. We are also planning to bring back 1 day a week of lunchtime climbing, details coming soon! Get Halloween Party Ready with PT360! Halloween is just a month and a half out! Summer is coming to an end and its pre-Halloween costume crunch time. Are you ready for your costume? Let PT360 help you get to where you want to be. Now offering a special fall promo for new clients, we offer one on one, buddy, or small group training sessions. Please contact ICPT360@Lakeshoresf.com to set up an appointment. Skipping legs day might be among the worst things you can do for your goals. The hormone release gained from working your biggest muscle groups (glutes and legs) will help with muscle growth in all areas. Working these big muscle groups also puts out a huge calorie burn to help you start to see those abs! Front squats and Deadlifts are going to also be big core strengthening exercises, which will help progress your other big lifts. Not sure how to do legs day? Try this short and simple (not easy) workout to get more legs than a bucket of chicken! Perform the next set back to back. 5 Sets. Then maybe close out the week with Jack’s Friday night Candle Light yoga. Great way to wind down and loosen up those sore muscles. Having trouble with form? Want to progress your legs day to a new level? Please contact ICPT360@Lakeshoresf.com to set up an appointment. TGIF – Stir Fry Friday is coming to Press Kitchen! Starting this Friday, October 5th, build your own customized Stir Fry every Friday as one of daily dinner specials at PK. So good, you don’t want to skip this meal! Also be on the lookout for new beer and wine selections coming soon! Want more than just a TGIF special. Press Kitchen has you covered with dinner specials all week long. Plus this week only Chef Mike’s Special Cuban Sandwich $10w/fries! Please welcome our two newest climbing wall instructors Logan Dodd and Anna Bifano. In an effort to continue the tradition of well-trained and friendly instructors, we have expanded our team at Illinois Center. Logan just moved to Chicago from Champaign, Illinois. He has taught climbing classes and set routes. One of his first experiences with climbing was an outdoor trip to Jackson Falls, Illinois. “I was blown away by the sport and once I got home I immediately bought my own gear and started training”. Ever since, climbing has become one of his favorite hobbies, along with table tennis and inline skating. 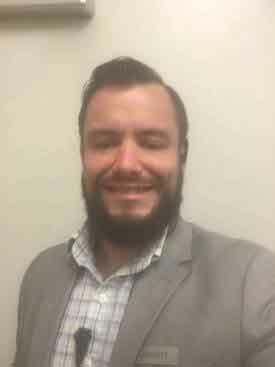 Logan is working Saturday and Sunday from 11am-2pm. Anna is finishing up her degree at DePaul University this year. She grew up in Boston, MA, and was introduced to climbing by her family at a fairly young age. Anna moved to Chicago after high school and got back into climbing about three years ago. I’ve climbed on. Over the last two years she has taken her climbing seriously and has been striving to improve and learn all that she can about climbing, safety in climbing and hiking. “I love it and I can’t wait to learn more”. Anna works Wednesday evenings from 5-9pm. It’s no surprise that Jarrett Brown is a big fan of Lakeshore Sports & Fitness (LSF). Not only is he passionate about health and fitness but he also has a more personal connection to the club. My goal is to help more people get results with their time here at LSF, whatever that means to them. For any comments or feedback, feel free to reach him at JarrettB@lakeshoresf.com.